Happy Cyber Monday! In honor of the biggest internet shopping day of the year, or at least one of them, Faith Blum decided to do a blog tour release of her newest novel, Lily of the Valley. There are two giveaway opportunities and lots of fun interviews and excerpts. Faith Blum started writing at an early age. She started even before she could read! She even thought she could write better than Dr. Seuss. (The picture doesn’t show it well, but there are scribblings on the page of Green Eggs and Ham). Now that she’s grown up a little more, she knows she will probably never reach the success of Dr. Seuss, but that doesn’t stop her from trying. Faith has a Goodreads giveaway going on through November 30th! 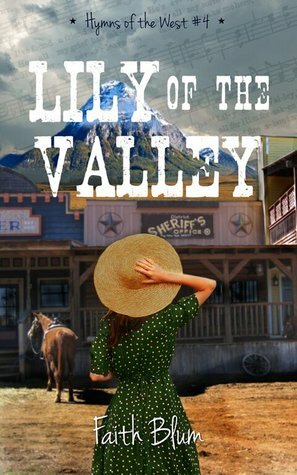 Be sure to check it out and enter to win one of two signed paperback copies of Lily of the Valley. https://www.goodreads.com/giveaway/widget/161619 In addition to the Goodreads giveaway, Faith is also giving away all four of her paperback novels to one lucky winner! And I’m pleased to share this EXCERPT with you fantastic readers! Enjoy!! “What’s two plus two?” Ruth asked. “Four,” Annabelle responded, her face scrunched up in confusion. But anyway, let me move on to the subject of this post. I have (“I have some fifteen thousand pounds just sitting in the bank earning little to no interest…” North and South. <3 “You don’t need Henry to explain” – if you are a N&S fan that quote should make you squeal inside! ;) ) a coupon to a specific Etsy shop that I am not going to use. The shop contains some headbands, scrunchies, and cosmetic cases decorated in Dr.Who, Star Wars, and Marvel designs. The coupon is for $10 off an $11 minimum purchase. It expires December 31st, 2015. Great Black Friday Book Deals! “The Huntress of Thornbeck Forest”, by Melanie Dickerson: This provided a delightful and fun fairy-tale feeling without being magicful. “The Tomb”, by Stephanie Landsem: Her Biblical Fiction always give me food for thought and touch me deeply! “The Fragrance of Geraniums” and “All Our Empty Places”, by Alicia Ruggieri: These books really ministered to me, especially in my own brokenness! “Not Abandoned”, by MacKenzie Morganthal: This book is a great credit to making Human-Trafficking awareness known. It is written so beautifully, and so gracefully. Definitely one of my favourites! “Better than Peanut Butter Icecream”, by Kristen Krueger: This was such a delightful book, and made me feel very happy right when I needed it! I don’t know about you, but I’m looking forward to another great year of reading! Speaking of more reading, here’s one more thing to be grateful for. Books on sale! In honor of Thanksgiving and Black Friday, a group of independent Christian authors banded together to offer over seventy discounted books on Nov 27-30. There’s literally something for everyone. Such a lovely book!! It was a great retelling of the fairy tale, Rapunzel. I really really love how Mrs. Dickerson doesn’t have any magic or anything in her books. This book was excellent, and I loved every page of it. It was exciting, and fun, and the scenery was delightful! It’s related closely to “The Princess Spy”, and sometimes that got a little confusing for me, because I hadn’t read that one in quite a while – but even so, it didn’t cause problems with this book. You can easily read “The Golden Braid” as a stand-alone. There are just ties to “The Princess Spy” – characters, setting, and such. I like when authors do that; it adds some fun! Oh and I really adored what Lady Rose said about how only God can truly fulfil our every desire – not a man. And yet she said it with the conviction of still needing a man – yeah, it was really good! Even though I know the story of Rapunzel, scenes in this book came as a delightful surprise! I really loved it. And her being able to knife-throw was quite nice. :D It wasn’t as prominent to the story as I thought it might be, but it was still good. 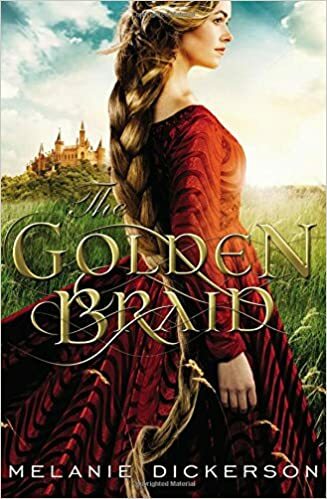 All in all, I loved “The Golden Braid” and am looking forward to reading more from the author!! I received a complimentary copy of this book in exchange for my honest review, which I have given. As Christians, it is our desire to follow hard after Jesus Christ, isn’t it? That’s our main desire; to be more like Jesus. To be Holy as He is Holy. And that desire should reflect into every part of our lives. We should want that when people look at us, or hear us, or hear about us, they see Jesus. They see our love for Him and Him alone. But what is pulling us away? What is causing our eyes not to see? Is it a book genre that isn’t as clean as it should be? Is it a TV show we don’t want to give up? Is it a person that intrigues us, but we know isn’t God-honouring? Is it a band we’re following after that is less than modest and Christ-like?Let us examine our hearts and find what’s truly being reflected. Myself included. Today I want to focus on modesty, and some bands that have my heart grieved. I won’t name names, but they are there. I see them, and I don’t see Christ. I see them leading so many astray – causing so many young people to want to become just like them, in how they act, in how they play their music, and how they dress. It is easy to be blinded by the glitter and glam. We all do it – we all fall prey to some deceiving situation. But we must be on our guard, and we must bring everything, no matter how much we live it and love it and don’t even think of it as being wrong, to the foot of the Cross. Does is draw attention to us or does it point to Jesus? Are we dressing to please ourselves and fellow man, or Jesus? Does it cover ourselves, or reveal? We ultimately should dress to impress Jesus alone. To glorify Him in our body. Maybe that doesn’t mean wearing skirts for you, but it should mean covering yourself appropriately. If our dress causes others, especially men, to gawk at us (and not in a good way), perhaps we should change. I have heard of quite a few young men that find modest apparel more eye-drawing, in a good way, than they do with the immodest low-cuts and short skirts/tight pants. It’s a statement, modesty is. And if you’re going to wear the tight, short, revealing clothing, you’re making a statement – even if you think it’s harmless and you’re just doing it for fun. That’s not how it comes across to the world. Again, I say, you’re making a statement, and if it’s not pointing to Jesus, it’s not a good one. And it’s hard, because the Christian bands we look up to are not representing this in their clothing. They are dressing to look ‘cool’ to the crowd. But that’s not our goal. It is not our goal to be like the world. But to be like Him who created the world. Another topic that has my heart greatly saddened is how so often, we turn a blind eye to darkness and call it good. We watch things, and follow things, and read things, that aren’t of the light, but we make excuses. Why? Because we want what pleases us. I am including myself in this. For me, the stumbling block, the gray line, is books. I love books. I love reading. And sometimes the books I like contain things that aren’t really godly – they aren’t usually blatantly bad, but they sometimes slip the radar. And sometimes I don’t want to face it, because I like the books. For others, it may be TV shows and movies. For instance, the huge thing today is zombies, vampires, all the movies and shows that condone killing one another, etc. As much as we don’t want to admit it, there is nothing godly about that. They are fully evil. Not of God, but of Satan to pull us away from Him. My parents always say “garbage in, garbage out”, and the truth of it is that the Bible says not to set anything evil before our eyes. Not just some things, but all things. And we try to justify by saying it’s not that bad, or everyone else is watching it, but we are not to be like everyone else. We are to be set apart. One thing that defines us as a Christian is not always what we are willing to do for Christ, but what we are willing to give up for Him. To lay down our life and will, to please and honour our Lord. Because He’s worth it all. Right? If we have a hard time deciding what is right and wrong to watch, read, follow, let’s try to think of it this way: Would you honestly sit down with Jesus and watch this particular show, or read this particular book, or follow this particular person with Jesus watching right beside us? 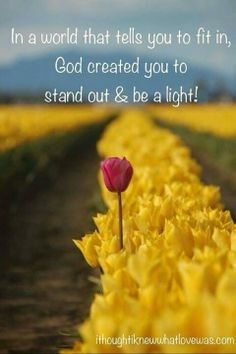 So let us bring everything that we love, and live, and bring it to the light of Jesus – let His light penetrate all and give us a clear picture of His glory so that we may honour Him. 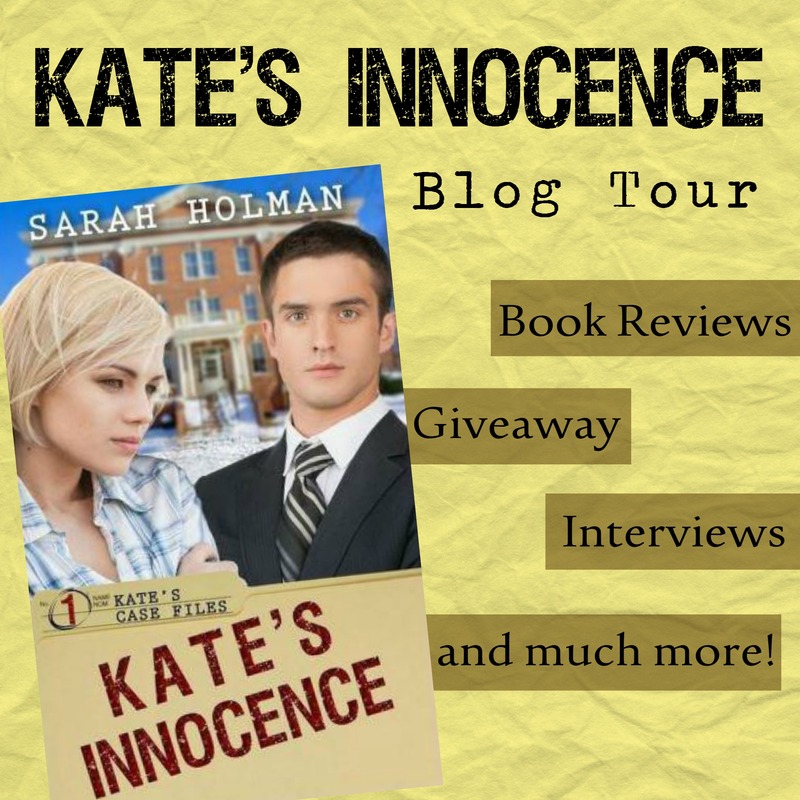 Blog Tour for: “Kate’s Innocence” by Sarah Holman – book review and giveaway! This was a very intriguing FBI read to be sure! I enjoyed it. I try to stay open to various genres, but I don’t deny that I am usually not interested in contemporary fiction; however, “Kate’s Innocence” proved to be very exciting, and didn’t feel like it dragged at all, which is what I often find in some contemporary fiction pieces. This is a book I would readily recommend – it’s clean, and thoroughly enjoyable! I’m glad for the chance to have read it and am looking forward to more! *I received a complementary ecopy of this book from the author in exchange for my honest review which I have given. Today I’m sharing a short story I wrote as part of the “They Have a Story” Link up over at Emily Anne’s blog. She posts a Inspiration Picture every month, and we have the choice to write something on it or not. You should check it out if you like writing. :) This is my first time participating. So without further ado, here’s the photo, and my story! I was afraid again. Not afraid for my own life, but for the precious life of the daughter clinging to me as we awaited our coming judgement. It was always the same. To others, we were never worth more than the tasks we could accomplish. I wanted my daughter to have so much more. But so much had already been ripped away from us. Too much. Sometimes I felt like, “What is one more thing?” but in my soul, I fought against that bleakness. I wanted to believe there was hope, and that it would find us sooner than later. I watched as the white man came towards, closing the distance between us until finally he stood in front of us. “What have I done?” I whispered in fear, my voice trembling no matter how strong I tried to be for my daughter. The white man only smiled. But it wasn’t a menacing type of smile that I had grown accustomed to from our life on the big house land. It was a peculiar smile. I waited for the man to speak. “It’s not what you’ve done. It’s what he’s done,” the white man tossed his head in the opposite direction where another man stood. I hadn’t noticed him before. But what did the white man mean? What had that other man done? She was afraid to voice her question. My daughter then softly pulled away from me, shyly looking up into the face of our “owner”. “Mister, what’s he done?” her little voice asked. I wanted to hug her for the strength she showed. The innocence. And I praised God that she still had some innocence in the rough life we’ve had. “But why?” I heard myself speak, surprising even myself. A look of sadness and joy mixed together appeared on the man’s face. “Because I am doing it for Someone higher. Someone who loves you very much. Now go, gather your things, and start a new life together. Here is some money to help you get started,” He handed her a sizable pouch. I still did not truly understand, but I was thankful. Oh was I thankful! My daughter could live a new life. We could be free. “Thank you,” I said to the man. “What will happen to you?” I don’t know why I asked that, but I suddenly had to know. “I will take your place,” he said. But…that didn’t seem right. Couldn’t we all be free? Why did something bad have to happen to someone else so that something good could be accomplished in another? Tears suddenly stung my eyes. This man was being uncharacteristically kind, and all because he loved the God whom they both worshiped. “I pray your deliverance comes soon, then,” I said as I bowed my head in thanks. It was time, then, for my daughter and I to depart….but I would never forget the man’s kindness. He delivered us, so that we might be free. All because of a loving God. And that’s it. :) Please no stealing, copyright by me, yada, yada, yada. :) Thanks for reading! !